As the actions of the Comprehensive Plan are implemented, the Town will seek consulting services and other assistance as may be necessary to effectively implement the goals and objectives of the plan. These RFP’s and other requests can be found here. In addition there is a wealth of documents and resources that have been produced over time that have helped inform the Comprehensive Plan. You can find those documents here as well. Creating a vibrant and walkable mixed-use area in the hamlets that are well connected to public transit. These are just a few of the goals. The actions to implement these goals vary in their nature-from a study or analysis, to a capital project. There are many ways to meet these goals. 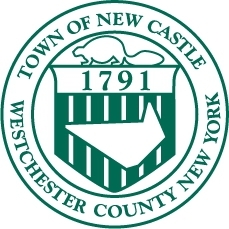 The Town of New Castle is interested in revising the existing commercial zoning legislation within the Chappaqua Hamlet to help meet the goals of the 2017 Comprehensive Plan. The RFP below has been released to obtain a qualified consultant to work with town to establish a new, Form-Based Zoning Code. Questions regarding the RFP should be directed to cpapes@mynewcastle.org. A highly recommended pre-proposal conference has been scheduled for December 18, 2018 (9:00AM). Proposals are due on January 25, 2019. The planning team has a number of documents and resources on the New Castle's comprehensive plan and the planning process. Click on one of the links below to view the document.